Situated in a privileged position on the north-eastern coast of the Iberian Peninsula and with its stretch of Mediterranean shoreline, Barcelona is the capital of Catalonia, 1 of the 17 Autonomous Communities that make up Spain. There are two official languages which you will hear spoken in the city: Catalan, generally spoken in the whole region of Catalonia, and Spanish. 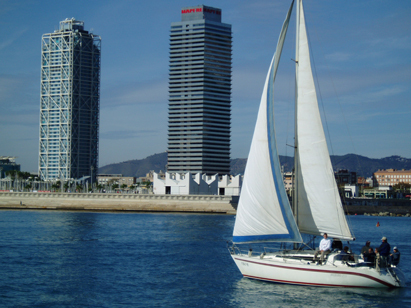 Barcelona is also the second largest city in Spain in both size and population. The city of Barcelona has a population of 1.510.000, but this number spirals to more than 4.000.000 if the outlying areas are also included. In 1992, the Olympic Games were held here and the changes made to the city at this time reflect its modern attitude and reveal how it has evolved over time. The Barcelona we enjoy today is an innovative city, open to diversity and yet faithful to its Mediterranean traditions, with its face to the sea and its arms open to other cultures and peoples. 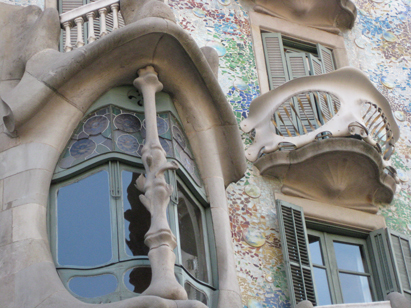 Barcelona carries the marks of several different cultures, and has an internationally-acknowledged cultural heritage. In fact, Barcelona is more than just a single city; It is a collection of multi-faceted and diverse neighbourhoods or barrios. The visitor unfamiliar with its history might be surprised that such a modern and enterprising city preserves its historic Gothic centre almost intact, or by the curious contrast between the maze of narrow streets in the Barrio Gótico and the grid-like layout of the Eixample, the urban planning “Enlargement” project from the end of the 19th century. One of the most striking aspects of the city is the multitude and magnitude of its visible modernist architecture. UNESCO has designated seven properties built by the architect Antoni Gaudí (1852–1926) as World Heritage Sites in or near Barcelona: Parc Güell, Palau Güell, Casa Milà, Casa Vicens, Gaudí’s work on the Nativity façade and Crypt of the Sagrada Familia cathedral, Casa Batlló, and the Crypt in Colonia Güell represent an eclectic, as well as a very personal style which was given free reign in the design of gardens, sculpture and all decorative arts, as well as architecture. 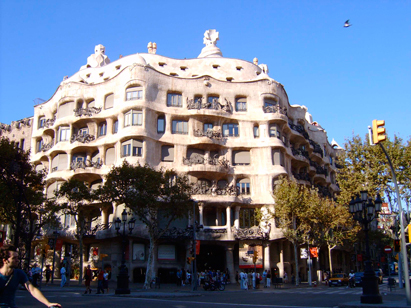 Also World Heritage Sites, the Palau de la Música Catalana and the Hospital de la Santa Creu i Sant Pau (where the ISCORE ’15 will be held http://www.santpaubarcelona.org/en) are two of the finest contributions to Barcelona’s architecture by the Catalan art nouveau architect Lluís Domènech i Montaner. The Palau de la Música Catalana is an exuberant steel-framed structure full of light and space, and decorated by many of the leading designers of the day. In addiction to the impressive cityscapes and vibrant bustling streets of Barcelona, the city is also within easy reach of places for those who enjoy outdoor activities and beautiful natural landscapes. Mediterranean beaches, fishing villages and the fascinating mountains of Montserrat are all fairly easily reached by train from the city centre, and are especially scenic in the warm September sunshine. There is no doubt that this is yet another reason to visit a city that is so willing to share its hospitality, landmarks, culture and surroundings with the rest of the world. The standard current is 220 volts. All sockets follow European standards. Plugs are of round two-pin type. The official currency of Spain is the Euro €. Shops: 10:00 – 13:00 hrs; 17:00-20:30 hrs. Banks. Mon-Fri 09:00 – 14:00 hrs. Most machines accept maestro, Mastercard. American express, Visa, dinners club cards that belong to the payment system. 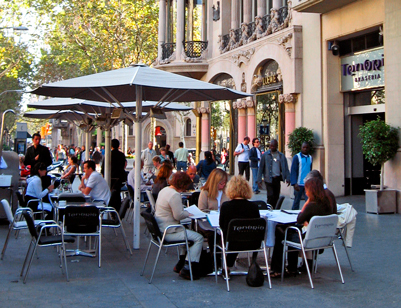 Credit cards are widely accepted in Barcelona by numerous hotels, restaurants and shops. If and which credit cards are accepted is indicated by the logos displayed on the exterior façade of therespective business (usually on the entrance door). Tipping is discretionary, and usually only with hotel clerks and restaurant waiters..
Official check in time for hotels is 15:00 hr. and check out is 12:00 hr. Nevertheless, please, check it with each hotel when arriving.